This report focuses on the Hydraulic Hose in global market, especially in North America, Europe and Asia-Pacific, South America, Middle East and Africa. This report categorizes the market based on manufacturers, regions, type and application. For industry structure analysis, the Hydraulic Hose industry is not concentrated. These manufacturers range from large multinational corporations to small privately owned companies compete in this industry. The top five producers account for about 49 % of the revenue market. Regionally, Asia-Pacific is the biggest sales value area, also the leader in the whole Hydraulic Hose industry. Asia-Pacific occupied 41.86% of the sales market in 2017. It is followed by Europe and North America, which respectively account for around 22.78% and 20.54% of the global total industry. Other countries have a smaller amount of sales. For price trend analysis, a key variable in the performance of Hydraulic Hose producers is raw material costs, specifically the speed at which any increase can be passed through to customers. For forecast, the global Hydraulic Hose revenue would keep increasing with annual growth rate with 5~7%. We tend to believe that this industry still has a good future, considering the current demand of Hydraulic Hose. 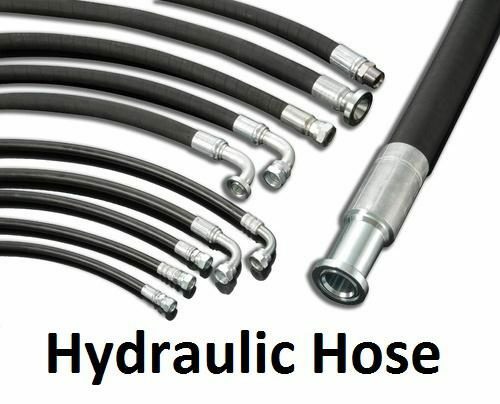 The worldwide market for Hydraulic Hose is expected to grow at a CAGR of roughly 6.0% over the next five years, will reach 2410 million US$ in 2024, from 1700 million US$ in 2019, according to a new GIR (Global Info Research) study.